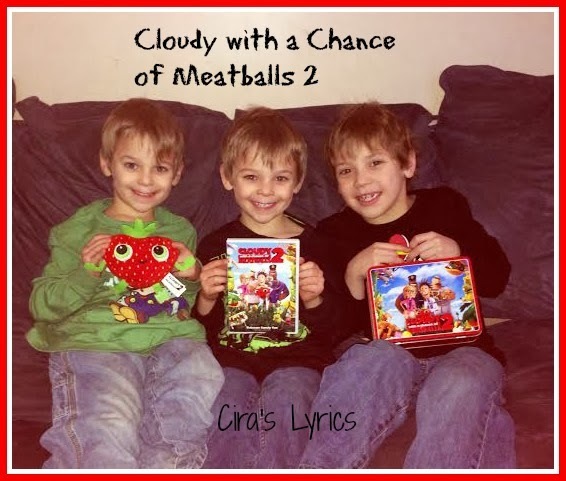 **Disclaimer - We were sent a copy of Cloudy with a Chance of Meatballs 2 for review, in exchange for our blog post and social media promotions. The boys loved Cloudy with a Chance of Meatballs. They have watched the DVD more times than I can count. I didn't tell them we would have the opportunity to review the sequel - Cloudy with a Chance of Meatballs 2. Finding the box on our doorstep after school led to screams when we opened the box. I love how excited these kids get over things sometimes. We got our very own Barry the strawberry, a metal lunchbox, and the DVD. That hasn't even come out yet Mommy!, the Doodle Bop yelled. After finishing up homework, the boys put the DVD right in. The story picks up after Inventor Flint Lockwood thinks he has saved the world by destroying his invention (the machine that turned water into food causing cheeseburger rain and spaghetti tornadoes). Flint finds out his invention survived, now combing food and animals, making 'foodimals'. Like Tacodile right here. The boys favorite. 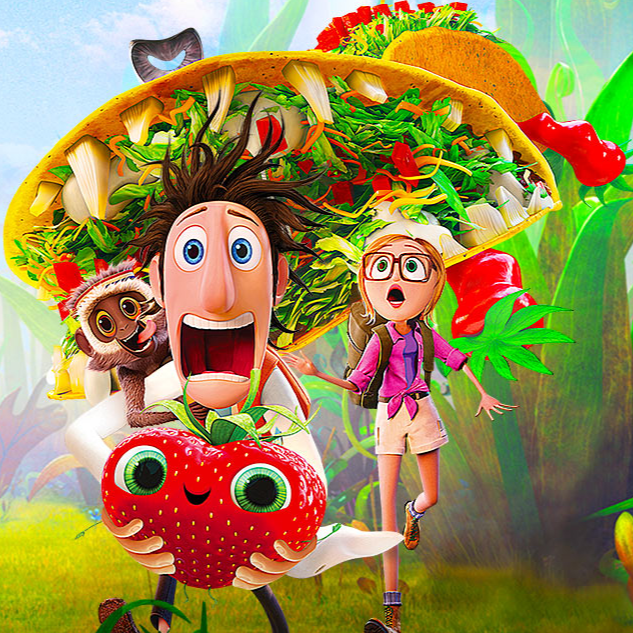 Flint and his friends go on a mission to battle hungry tacodiles, shrimpanzees, hippotatomuses, cheesespiders and more to save the world again. Cloudy with a Chance of Meatballs 2 debuts tomorrow, January 28, on Blu-ray and DVD! (Some specially marked packages even have a scratch and sniff Barry on them!) 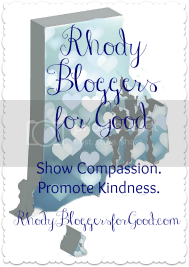 Make sure you check out the website for games, activities and even an app for your phone!